Brokers: Need More Credit Hours? You’re Invited to Get 3! (1) YCAR Legal Counsel, JOEL GRAYSON and JANET GRAYSON will be speaking on RISK MANAGEMENT FOR REALTORS® , SHORT SALES and the MARS TOPIC. 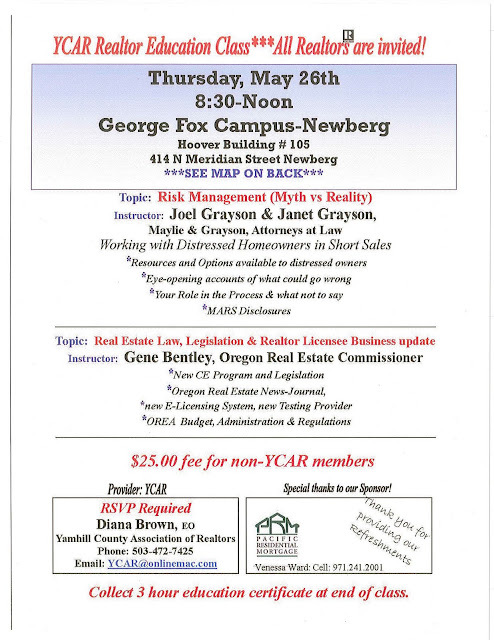 (2) Oregon Real Estate Commissioner, GENE BENTLEY will speak on the NEW CE PROGRAM, LEGISLATION, E – LICENSING, OREA BUDGET, REGULATIONS & MORE. Cost to attend is ONLY $25.00 for Non-YCAR Realtors, and Free for YCAR Members. 3 CE hours will be provided. To Register for this class, email Diana at YCAR@onlinemac.com or call her at 503-472-7425. ‘YCAR Education Class’ on Thurs. May 26th from 8:45 am to 12 noon. It will be held at George Fox College in Newberg, in Hoover Bldg 105. 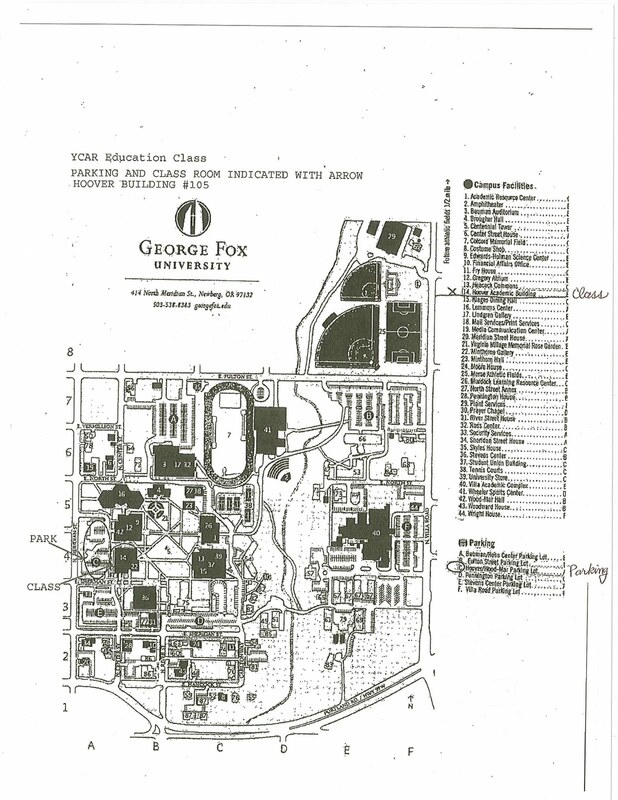 (Please see the attached flyer and Campus Map for all the details).